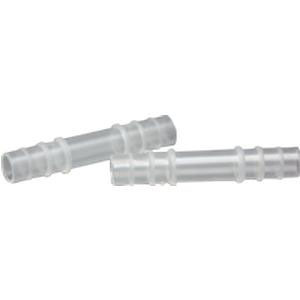 These clear-polypropylene connectors are used to connect male external catheters to drainage and extension tubing or to latex or vinyl urinary leg bags. Size: 5/16" O.D. x 2-1/4" long.